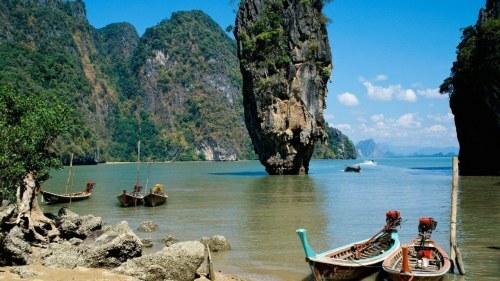 China Eastern has dropped the price of a few flights from Vancouver to Phuket, Thailand down to between $466 and $495 CAD roundtrip including taxes. The flights have 1 stop each way in Shanghai, China (4.5 hours on the way there, 5 hours on the way home). Oct 31 to Nov 12, 13 -- $495, new! Nov 16 to Nov 30 -- new! Nov 21, 22, 23, 24 to Dec 5 -- $466, new! Nov 23, 24 to Dec 7 -- $466, new! Nov 28 to Dec 11, 12 -- $466, new! Nov 29 to Dec 12, 13 -- $492, new! Nov 30 to Dec 12, 13, 14 -- $492, new! Dec 3, 4, 5, 6 to Dec 11, 12, 13, 14, 15, 16, 18 -- $492, new! NOTE: After your search completes on Momondo, you may need to slide the Max Duration slider on the left hand side down to around 50 to see these faster flights. They should be around 21 hours of travel time on the way there, and 20 on the way home. vancouver, yvr, flight deals, asia, thailand, southeast asia, china eastern airlines, phuket and hkt. 2 Responses to "Vancouver to Phuket, Thailand - $466 to $495 CAD roundtrip including taxes"
Karolin, you may want to check the post about Cambodia. There are still some to Siem Reap today for $520. Phnom Penh seems to be higher now.